Biathlon fans in Moscow got a rare treat as some of the sport’s top names descended on the Russian capital to take part in the Champions Race which brings the season to a close. 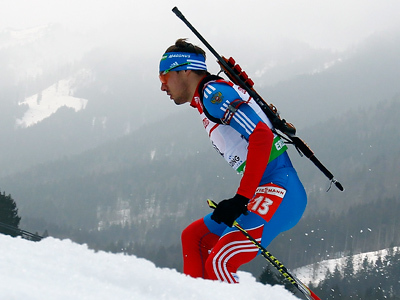 The 2011-2012 biathlon season has been a strange one for the Russians with a number of successes, but also a number of setbacks. While there were plenty of podium finishes during the world cup season, the less said about the World Championships in Rupholding, where they managed to claim a paltry two bronze medals. However, that was all put in the past, as top stars from Russia and the rest of the world took part in the Race of Champions on Saturday. Up first was the women's mass start, which included most of the world's best. French leader Marie-Laure Brunet had a mixed World Championships where she managed to claim three silver medals. However, she went one better in Moscow and claimed top spot on the podium to end her season on a high note. Russia's Olga Zaitseva gave the home crowd something to cheer about, as she managed to come home in second place, and the 33-year-old said it is always nice for her and her teammates to perform in the Russian capital. Meanwhile, in the men's race, the man everyone had their eyes on was Ole Einar Bjorndalen. The Norwegian, who's arguably the greatest ever biathlete, is still going strong at the age of 38. And he showed he is still a force to be reckoned with, as he picked up two golds at the latest World Championships. 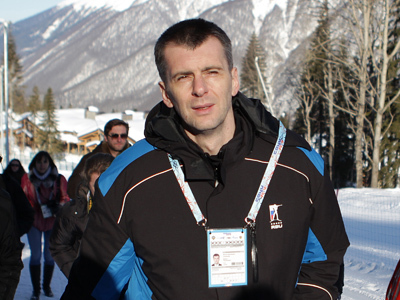 However, the six-time Olympic gold medallist wasn't able to make an impact in Moscow, as first place went to Jacob Fak from Slovenia. 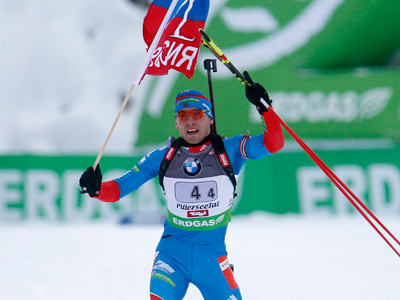 Russia's Anton Shipulin came home in second, while Emile Helge Svendsen completed the podium line-up. The mixed relays were successful for two international duos, though not for Russia’s Anton Shipulin and his full sister Anastasia Kuzmina, who has been competing for Slovakia. They didn’t manage to secure gold on the day as they finished half a second behind Finland’s Kaisa Mäkäräinen and Bjorn Ferry of Sweden. France’s Marie Dorin Habert and Martin Fourcade came third another five seconds behind. So there was no gold for the Russians, but this event was more about putting on a show for the spectators, rather than worrying about podium finishes, as the competitors can now have a well-deserved break, before the new season starts later in the year.